Definition: SAPHO syndrome includes a variety of inflammatory bone disorders that may be associated with skin changes. It involves any combination of: Synovitis (inflammation of the joints), Acne, Pustulosis (thick yellow blisters containing pus) often on the palms and soles, Hyperostosis (increase in bone substance) and Osteitis (inflammation of the bones). These diseases share some clinical, radiologic, and pathologic characteristics. The cause of SAPHO syndrome is unknown and treatment is focused on managing symptoms. 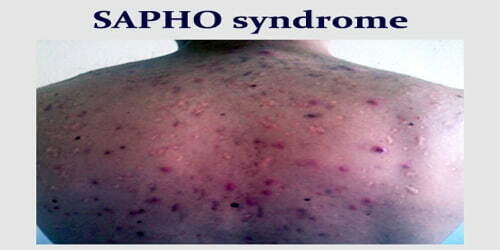 SAPHO syndrome is a chronic disorder that involves the skin, bone, and joints. SAPHO is an acronym for the combination of synovitis, acne, pustulosis, hyperostosis, and osteitis. Some researchers feel that the SAPHO syndrome is related to the group of arthritis conditions which typically affect the spine, called the spondyloarthropathies. Treatment of SAPHO syndrome typically involves medications which reduce inflammation. The term SAPHO (an acronym for synovitis, acne, pustulosis, hyperostosis, osteitis) was coined in 1987 to represent this spectrum of inflammatory bone disorders that may or may not be associated with dermatologic pathology. Causes, Signs, and Symptoms of SAPHO syndrome: The precise cause of SAPHO syndrome is not known. It is felt that the tendency toward developing SAPHO syndrome can be inherited. Genetic predisposition is suggested by the higher prevalence of HLA-B27, an inherited blood marker, in patients with SAPHO syndrome. SAPHO syndrome causes inflammation of joints with pain, stiffness, swelling, warmth, and redness. Joints affected can be spinal or away from the spine (peripheral joints) such as the fingers, wrists, or knees. Acne of the skin and pustules of the palms of the hands and soles of the feet are characteristic. Diagnosis and Treatment of SAPHO syndrome: For most diseases, symptoms will vary from person to person. 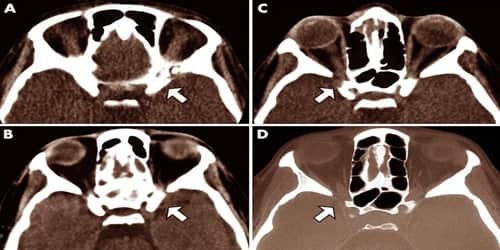 SAPHO syndrome is diagnosed clinically by identifying the characteristic features of the syndrome including synovitis, acne, pustulosis, hyperostosis, and osteitis. The blood test marker antigen HLA-B27, when present, supports the diagnosis. In children, the SAPHO syndrome is most likely to affect the metaphysis of long bones in the legs (tibia, femur, fibula), followed by clavicles and spine. There is no specific treatment plan for SAPHO syndrome. It can be a chronic condition but sometimes eventually heals on its own. Joint pain may be managed with nonsteroidal anti-inflammatory drugs and prescription vitamin A is used to treat the acne. Some patients have responded to antibiotics. The rationale for their use is that Propionibacterium acnes, a bacterium known for its role in acne, has been isolated from bone biopsies of SAPHO patients. What is an Optical System?